Tonight the Launch of the 5 Habits was announced on Peter Horsburgh’s LinkedIn profile. 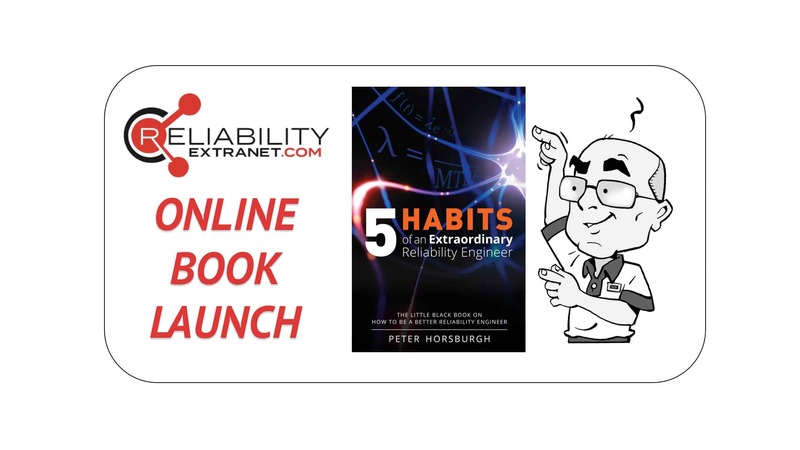 *Announcing* the Online Launch of the ‘5 Habits of an Extraordinary Reliability Engineer’ at 7pm on May the 15th in three (3) timezones. Free Online tickets can be found in the comments attached to this post for the Australasian, European and American timezones. Two (2) randomly selected attendees per launch will receive a free One on One Coaching session valued at AUD$500 with me (the author). Six (6) in total will be available. Tickets are limited, so get yours now before they all go! 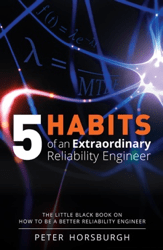 Gilbert is the Reliability Engineer in the 5 Habits of an Extraordinary Reliability Engineer. At the beginning of the book, Gilbert starts out frustrated. This is because he has no data, no tools, and no knowledge to use. 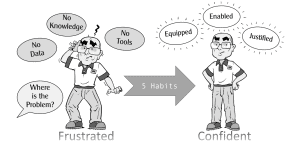 By applying the 5 Habits he becomes confident as he is equipped with the right tools, enabled with knowledge, and justified with data. There are over 40 illustrations in the 5 Habits. Most with Gilbert, but there are other characters as well. 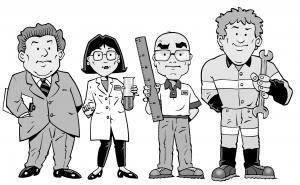 Paul the manager, Jackson the tradesman (Craftsman), and Gertrude the scientist. These characters would not have come into existence except for Gary Silversides. Gary is MD of one of the SIRF Roundtables in Australia and one of the reviewers of the manuscript of the 5 Habits. He suggested that it needed illustrations. I took his advice and Gilbert was born. Gary, when you mentioned that you had a “small part” in the 5 Habits, I feel that was understated. Many people that have seen the book have said “the illustrations have made the book”. To me, you have given a major contribution and for that I cannot thank you enough. Tickets for the online launch will be available tomorrow. Seats will be limited. Connect with me to get the announcement on LinkedIn. 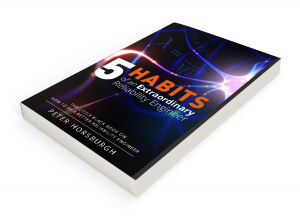 I am very proud to announce that my first book, “5 Habits of an Extraordinary Reliability Engineer” is being released this month on the 15th of May. I wanted to write a book that was different to all other reliability books, the book that I needed when I was a young engineer myself. 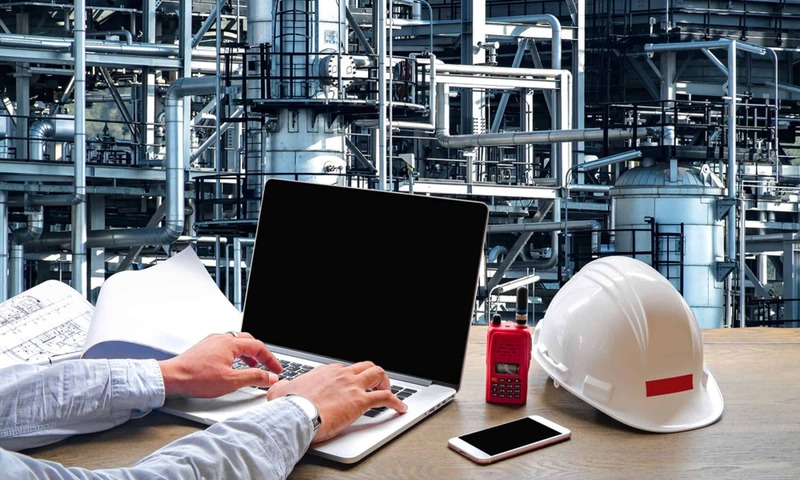 I saw a gap in how to behave as a Reliability Engineer and what you needed to do day to day in order to ensure success of yourself and your plant. Here comes the ‘The 5 Habits’! If you want to keep updated on the free stuff I’m working on to support the book, make sure your connected to me on LinkedIn where I will be announcing them as soon as they are ready to go.